What do you remember about your first camera? Was it a simple point and shoot variety? Did it use actual film – before the digital age took over? My guess is yes – so the fancy, highly technically advanced cameras of today could be slightly overwhelming for the average lay person. Like you and me! Because documenting memories with photography is more common than it’s ever been, there tends to be less pomp and circumstance surrounding the art, so it can be easy to flounder in a sea of digital images and camera options. Whether you’re an everyday photographer who enjoys snapping shots of her kids, friends, and family or a semi-professional looking to make photography a business, here are some photography and picture taking tips to help. 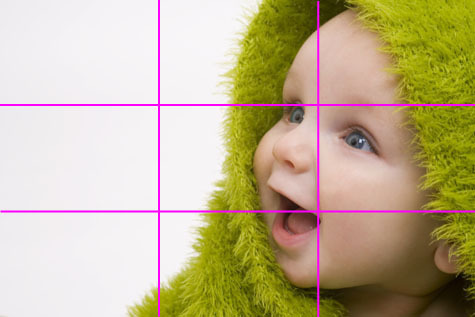 To improve the quality of your photos, keep your subject simple, fill the frame, and use the rule of thirds: visually break up the photo by placing the subject off-center and placing the horizon high or low instead of in the middle. Use these techniques for a more dynamic feel to your photos. Blurry photos are a common conundrum. Tripods are the best solution to steady a shot, but if you’re on the go, look for a table or a fence post to help create a sharper image. Before you snap a photo, consider the light around you and what you want from the image. Front light fills the subject with light but lacks depth. Backlight brings out silhouettes. Sidelight creates shadows and brings out texture. If outdoors, opt to shoot early in the day or later in the afternoon when the sun is at a side angle so you have more flexibility with natural light. If you can’t quite compose the perfect photo, you can always turn to an after-capture program such as Photoshop to simply edit the shape, sharpness, color, and anything else that could benefit from a bit of tweaking. Are you now inspired to pick up the camera and take some great photos of your family, your friends, a beautiful flower found in the wild, the gorgeous tiger at the zoo? Anything, really. We sure hope so! Be sure to share you fantastic photos with us – we’d love to see them. I’ve had my dslr for over a year and just signed up for my first photography class. After just one class, I’m wishing I would have signed up sooner! Great tips.